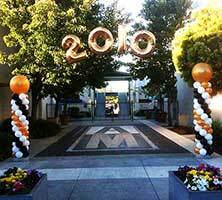 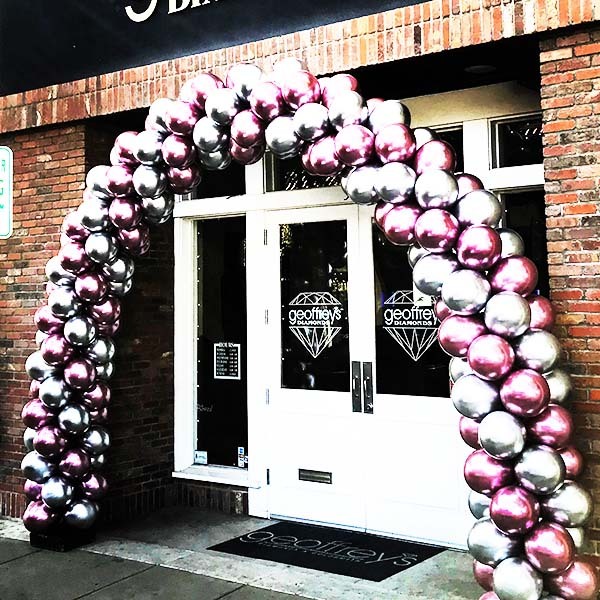 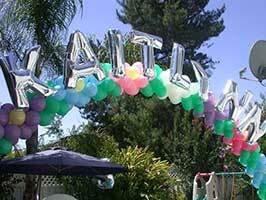 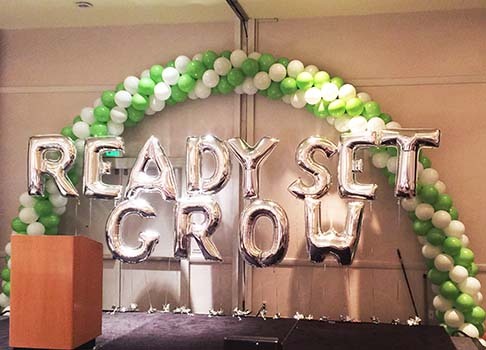 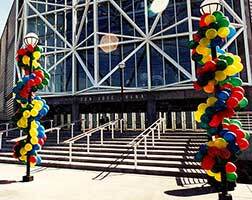 Balloonatics creates custom decorations that complement and communicate your event theme. 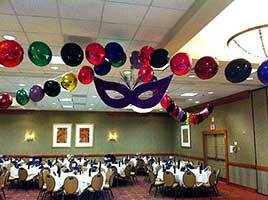 Balloons are visual globes of color that lend themselves beautifully to decorative themes. 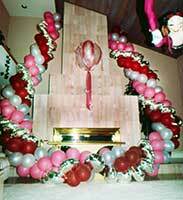 We create anything from colorful jewels, arches, and floating crystals, to imaginative character sculptures. 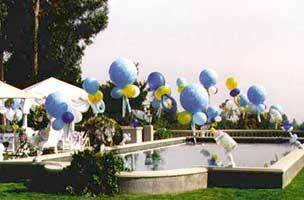 Your imagination is the only limit in making your celebration unique and memorable. 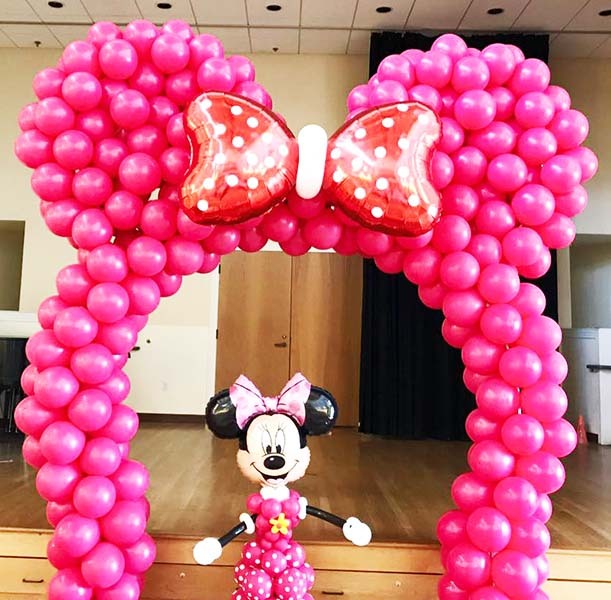 The photos in the galleries below show a variety of balloon decorations we can create and customize for every occasion and theme. 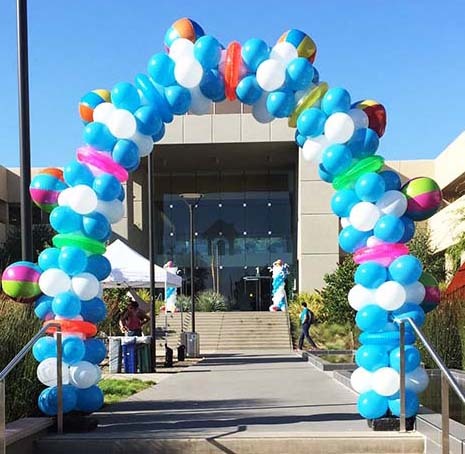 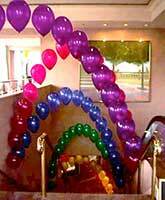 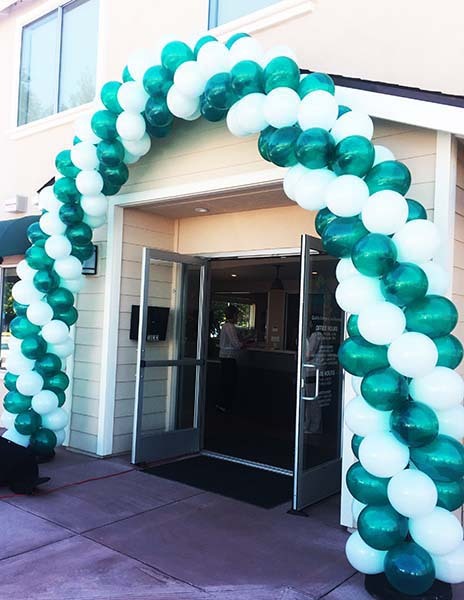 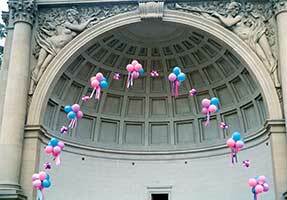 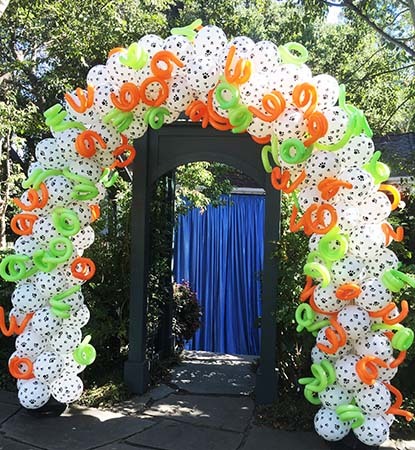 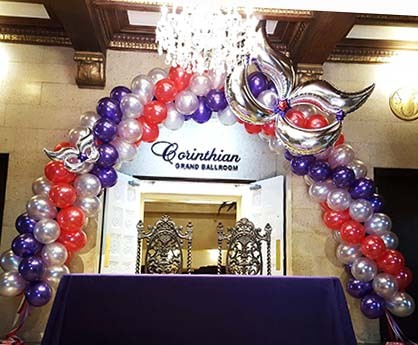 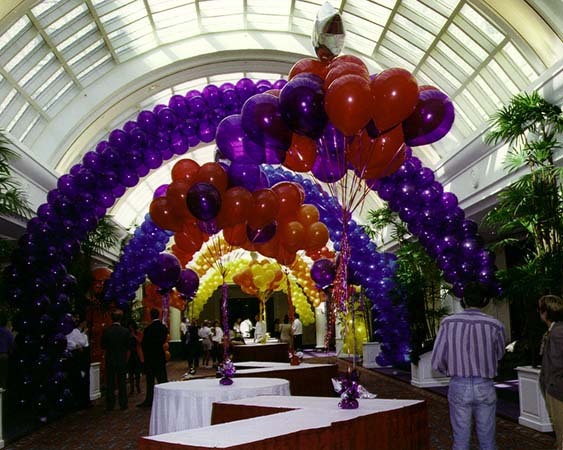 Balloon arches create striking bands of color that can grab attention, focus energy and add a festive spirit to events. 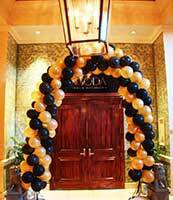 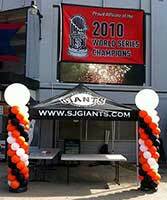 They can also serve as visual boundaries framing stages, entrances, and commercial booths. 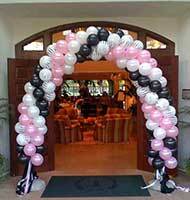 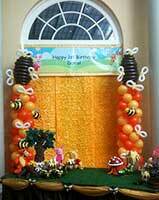 Balloon garlands, like arches, create striking bands of color that focus attention and energy. 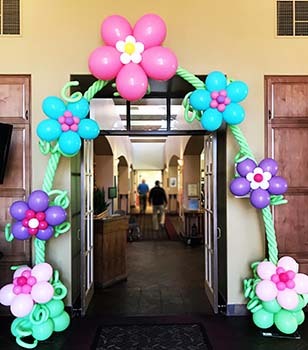 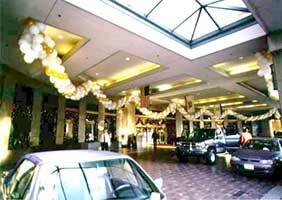 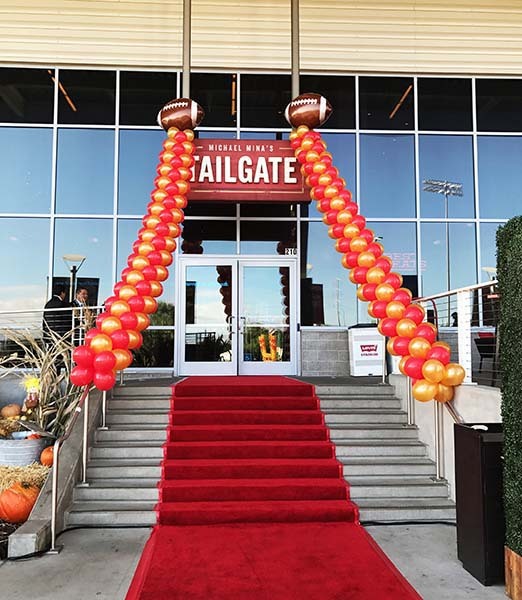 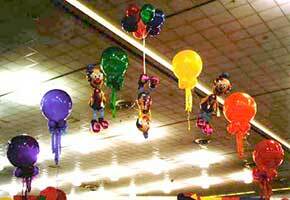 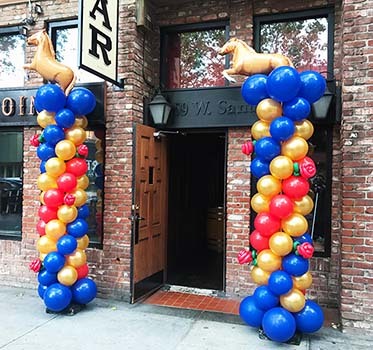 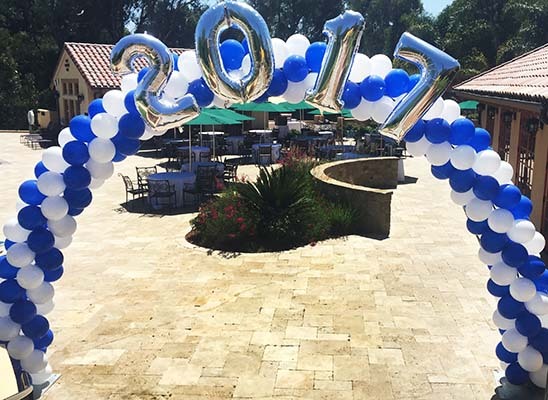 Air-filled balloon garlands can last for days, and excel at providing visual boundary decorations in larger venues that span long distances. 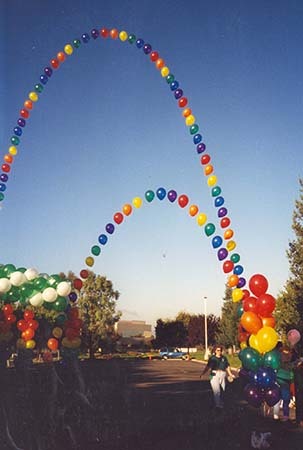 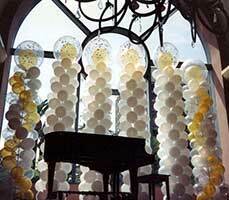 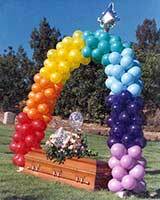 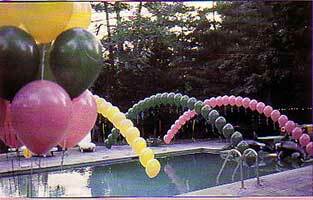 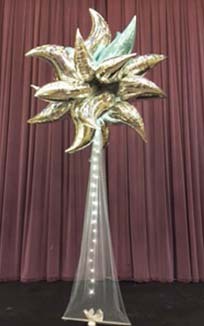 Balloon columns come in many colors and designs. 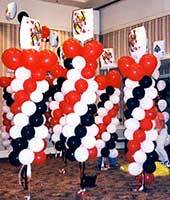 They serve in various decoration roles: accenting entrances, flanking presentation areas, and carrying color themes through large venues.